Good news, everyone! We've survived. March 20th marks the first day of spring. So for this week's Shooting Challenge, get outside and photograph it. Photograph evidence of spring poking through the last drips of winter. Buds, flowers, signs of life itself. There's certainly no one way to photograph a season. That said, many of you will consider delving into the world of macro photography—getting really close to stuff—to capture the first bits of spring. Try this tutorial out to learn more about macro. Otherwise, hopefully the warming weather is just an excuse to bring your camera (and yourself) outside. Our lead image is by Chris Andrews, taken two years ago during one of our earlier challenges. Say hi in the comments, Chris! 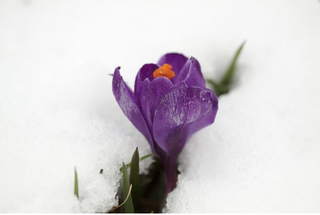 Send your best photo by Monday, March 24th at 10 AM Eastern to contests@gizmodo.com with "Spring" in the subject line. Save your files as JPGs, and use a FirstnameLastnameSpring.jpg (970px wide) and FirstnameLastnameSpringWallpaper.jpg (2560px wide) naming conventions.